She never thought her ability to communicate with wild animals was anything more than a unique gift. But this gift is tied to a long history of secrets that threaten to shatter her one chance at true love… Laken Sumner isn’t your average teenager. Ever since she realized that wild animals could hear her thoughts, she’s spent more time in the woods with them than with other children. Even her wolf is a better friend to her than most people. She trusts him—so much so that she follows him out into the wilderness in the middle of the night to find a lost little boy. But the boy’s disappearance is only the beginning. The one bright spot in her life is Noah Lawson, the handsome new town deputy. Charming and mature, he almost seems too good to be true. Then she meets Xander Payne, the new boy at school, who seems to know something about her. But how could that be possible? As strange things begin to happen in her sleepy New England town, Laken wonders if Xander has something to do with it. Or is it just a coincidence that danger targets her soon after he arrives? I love animals so this was a natural read for me. Of course, not all authors know how to weave a story that keeps me reading. This one does. I don’t normally read young adult books either, but I found myself drawn into this one right from the outset. The opening scene with the deer had me in my own backyard where many deer come to play. For a moment, I was Laken. Ever since I watched Doctor Doolittle as a child, I always wanted the gift to talk to animals. This author did a wonderful job of drawing the reader in and taking them on a spectacular journey through the northeast country side. I’ve been to New Hampshire many times and in this book, I felt as if I was visiting again without the discomfort of travel, airfare, fees and the cold. The prose is beautiful with a believable story. Vivid imagery. What else can one say about this book? I thoroughly enjoyed it and am looking forward to the rest of the books in this series. The great thing about Shadows at Sunset is that you don’t have to be a young adult to enjoy. Being young at heart will suffice. Ms. Royston has a gift for storytelling and it shows. Overall, a well written tale by a new author. This book has a little of everything in it. There’s mystery. There’s suspense. There’s even romance. I have no hesitation in recommending it. Tonya Royston lives in Northern Virginia with her husband, son, two dogs, and two horses. 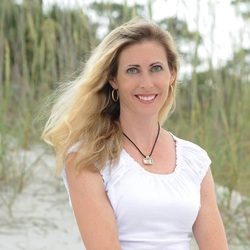 Although she dreamed of writing novels at a young age, she was diverted away from that path years ago and built a successful career as a contracts manager for a defense contractor in the Washington, DC area. She resurrected her dream of writing in 2013 and hasn't stopped since the first words of The Sunset Trilogy were unleashed. 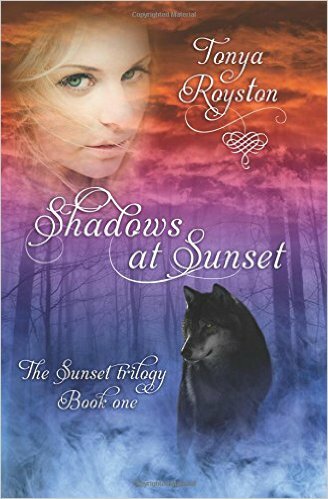 Shadows at Sunset is her first novel, but it certainly won't be her last. She has already written the second and third books of this series and expects them to be released in 2016. When she isn't writing, Tonya spends time with her family. She enjoys skiing, horseback riding, and anything else that involves the outdoors. More information about Tonya and her upcoming endeavors can be found at www.tonyaroyston.com. Disclaimer: I received an ARC e-book copy from the author in exchange for a fair and honest review.